Last edited by phil1908 on Sun 15 Jan 2006 14:36, edited 1 time in total. Best wishes to you !!! Wishing you a Very Happy Birthday, Senta! Relax and enjoy your day. 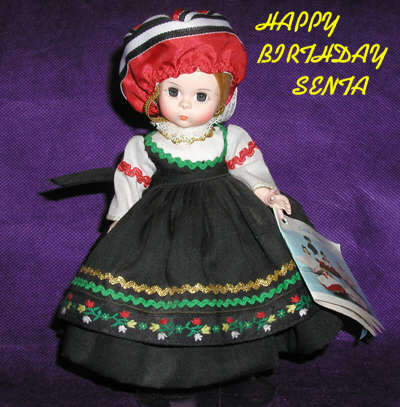 Wish you a happy birthday Senta! Enjoy the life or it will be enjoying you! Marco bought me a new cell-phone, Samsung SGH-X480 It is a beautiful red phone and handy too. I used to have (and still do own) Nokia 3650, and it is so big and clumsy compared with the new one. Sorry so late. I haven't visited this site in forever.